Congratulations to Grand Master Carmela Hartnett on winning the Austrian International Open in Poomsae on the 17th June in Vienna, Austria. Grand Master Hartnett defeated Last years World Championship Bronze medal winner and a former world Championship Silver Medal winner on her way to Victory. Congratulations to all our members who participated in the WA Invitational, you all contributed to a fantastic result with us being the Champion club in both Poomsae and Sparring. Also a big thank you to all our volunteers, referees and officials who contributed, it is thanks to you that competitions run smoothly. Great effort from everyone. 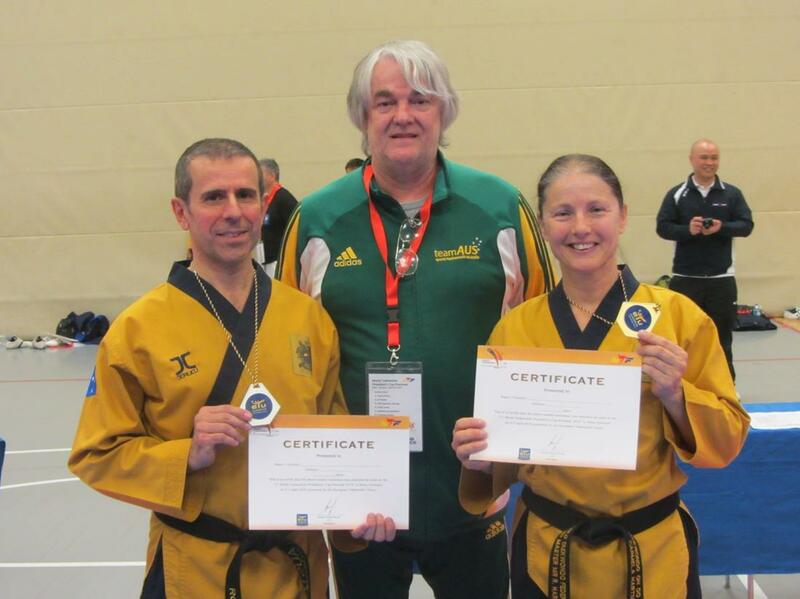 Grandmasters Ross & Carmela Hartnett recently completed a World Taekwondo Referee Course to judge competitors with disabilities. 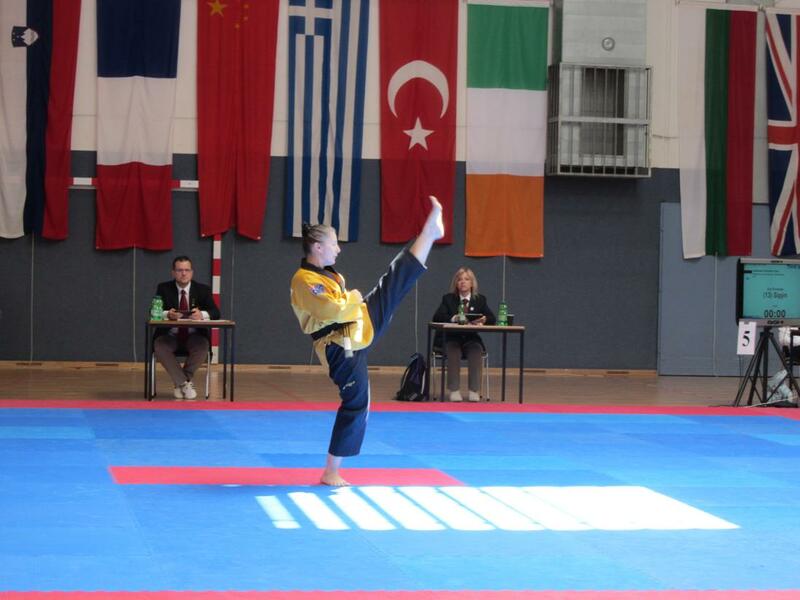 The Course was held in Vienna, Austria and conducted by World Taekwondo Para Division. 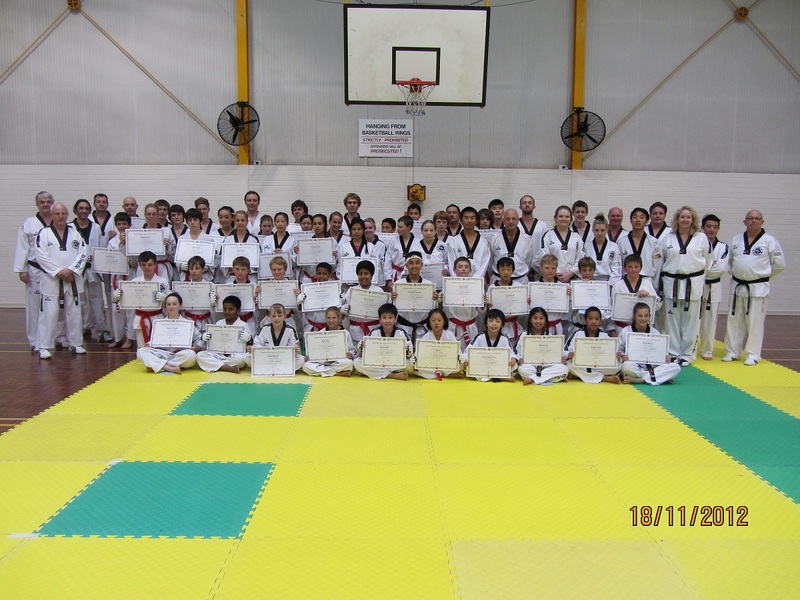 Well done to all who passed Dan Grading last weekend. Special mention to Justin Warren who passed 6th Dan, Ray Bamkin who passed 5th Dan and Ajana Plunkett who passed 4th Dan. Congratulations all we hope you continue on reaching your goals and succeeding with more wonderful achievements in Taekwondo. Grand Master Carmela Hartnett had a successful outing at the beginning of the month when she won the prestigious Presidents Cup held in Bonn Germany. 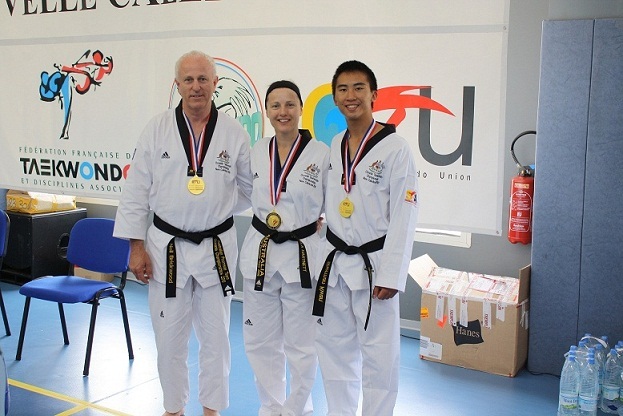 Prior to the Championships Grand Master Carmela and Grand Master Ross Hartnett participated in a 4 day International Poomsae Judge and Coach Course conducted by the World Taekwondo Federation in Bonn, Germany. Congratulations to all our students who participated in the Perth Open, a special thanks to all our volunteers who helped make the competition a success. 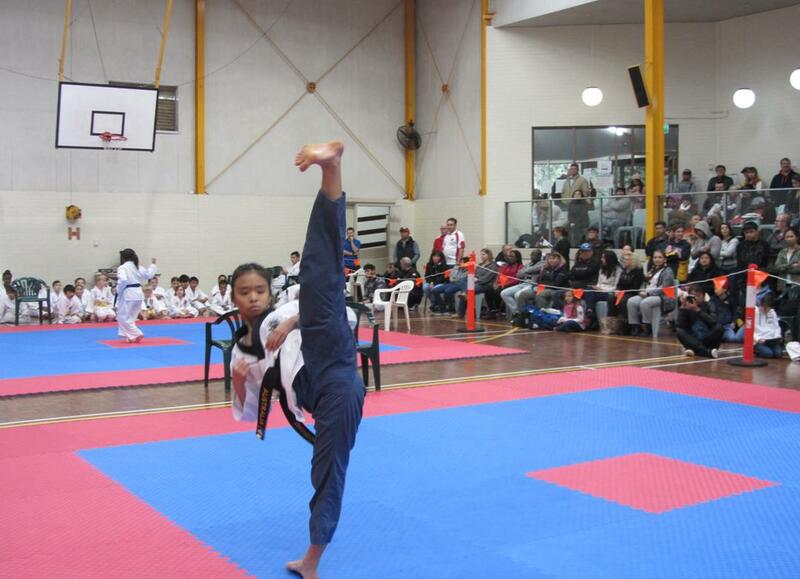 Oh Do Kwan again managed to take out 1st place teams in both Poomsae and Sparring. 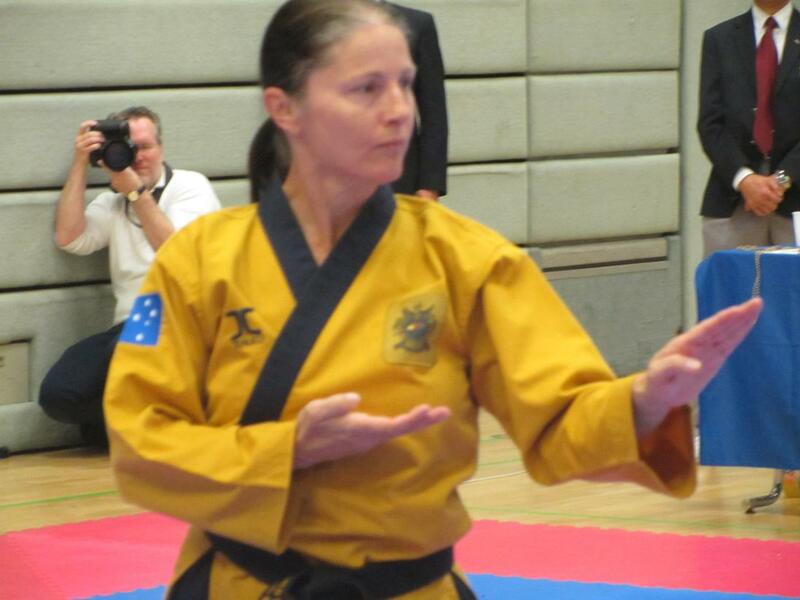 Mrs Carmela Hartnett became Australia’s first female in WTF style Taekwondo to pass 8th Dan Black Belt and achieve Grand Master status. 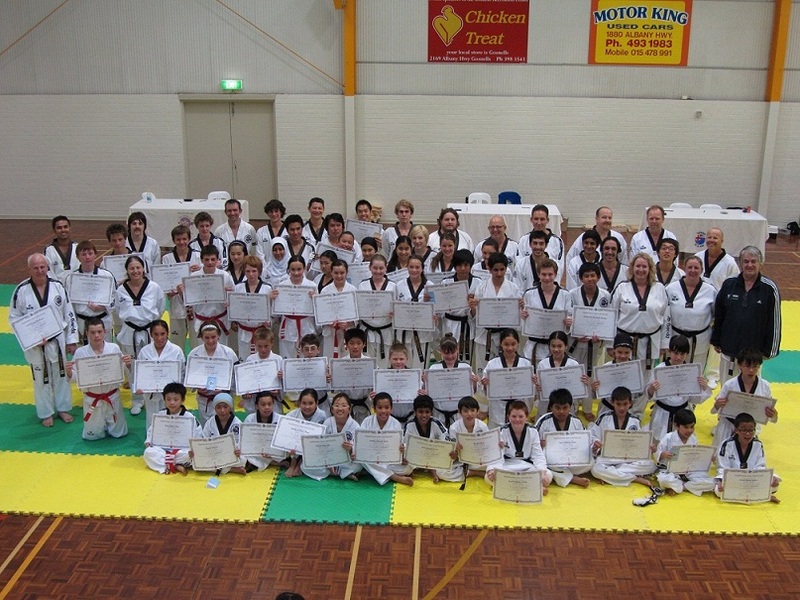 Carmela was graded by Grand Master Yong Dai Cho, Australia’s most senior Taekwondo Grand Master. Her grading consisted of poomsae, staff poomsae, one, two and three step sparring, Self Defence, Knife Defence, Sparing, breaking combination (5 Boards) question and answer session on poomsae and Korean terminology and a 2500 word Thesis. 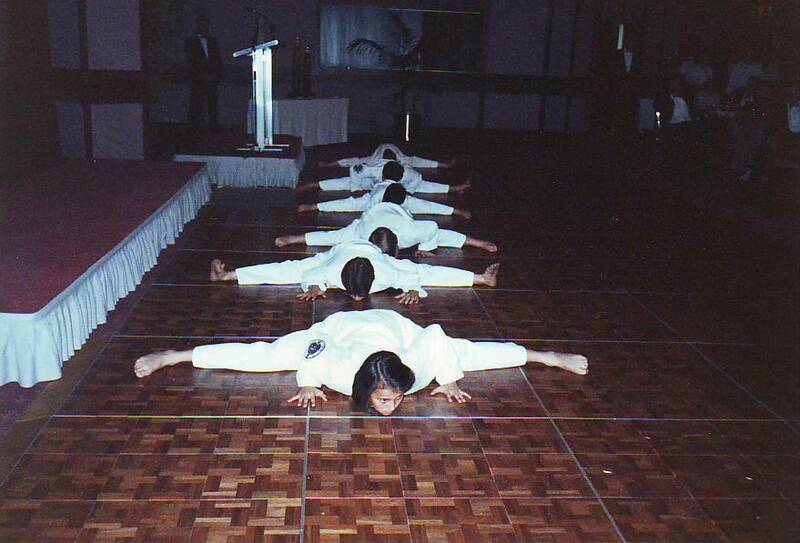 Some 80 Oh Do Kwan Member attempted various Dan upgrades from 1st—5th Dan. The following persons were successful in their promotion to the following grades. Congratulations on a great effort. 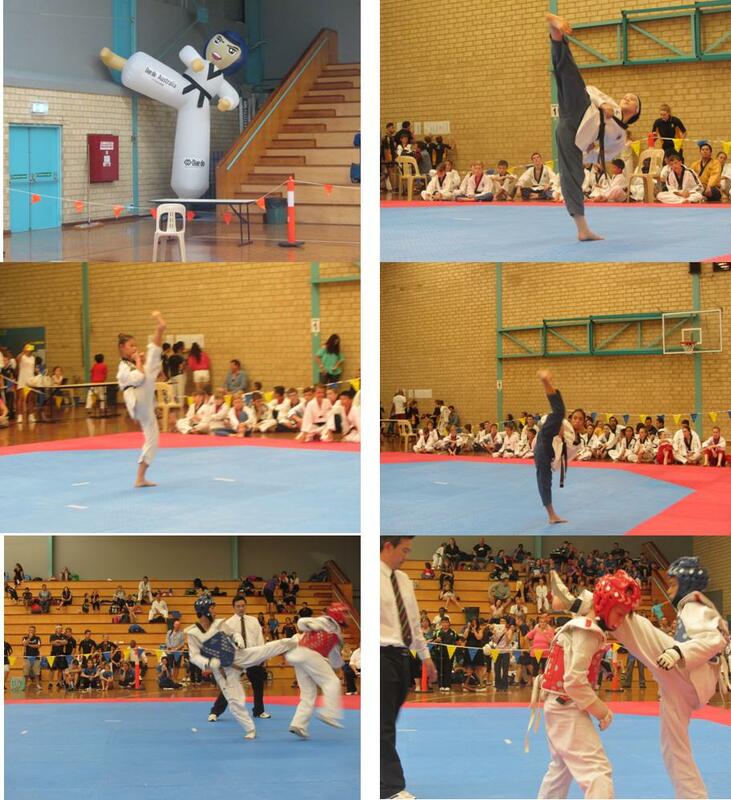 The 2014 Oceania Championships was held in Sydney on the of 14th and 15th of August. 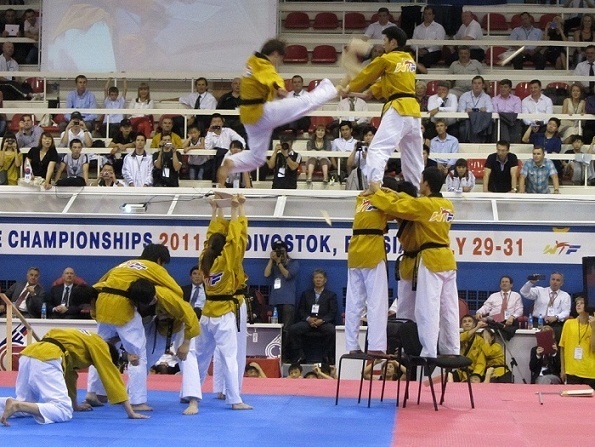 Eleven Oh Do Kwan members won selection into the national team to contest the event. Carmela Hartnett became the first dual female competitor/national coach at an event, Anita Tippet was also selected as a coach. 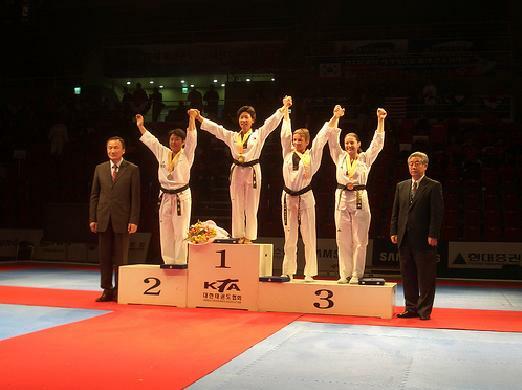 All our poomsae competitors were successful in winning Gold Medals. Congratulations to Carmela Hartnett, Kasia Majewski (2 Gold), Eunice Lau, Shahida Hill,(2 Gold) Thahira Hill, Min Xiong, Jolinsa Jeewa and Fei Chew on winning Gold Medals. 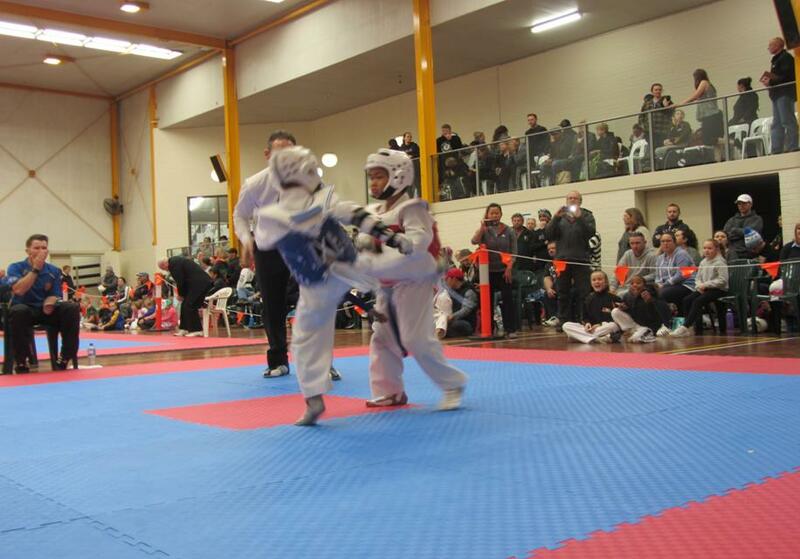 Sparring medals were won by Talia Skey, Alana Broomer and Larnie Henness. The Australian Open was held on the Saturday and Sunday after the Oceania Championships and saw 500 competitors from 30 countries participating. 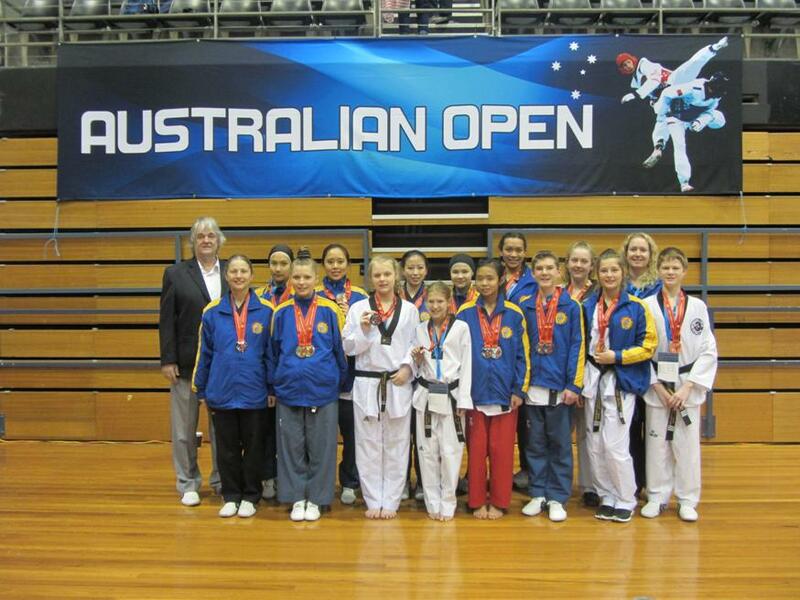 The open also doubled as a National Selections for the Australian team to the World Poomsae championships in Mexico. Congratulations to Kasia Majewski, Eunice Lau, Shahida Hill, Thahira Hill, Jolinsa Jeewa, Min Xiong, Fei Chew and Taj Bouwhuis on winning selection to the national team. 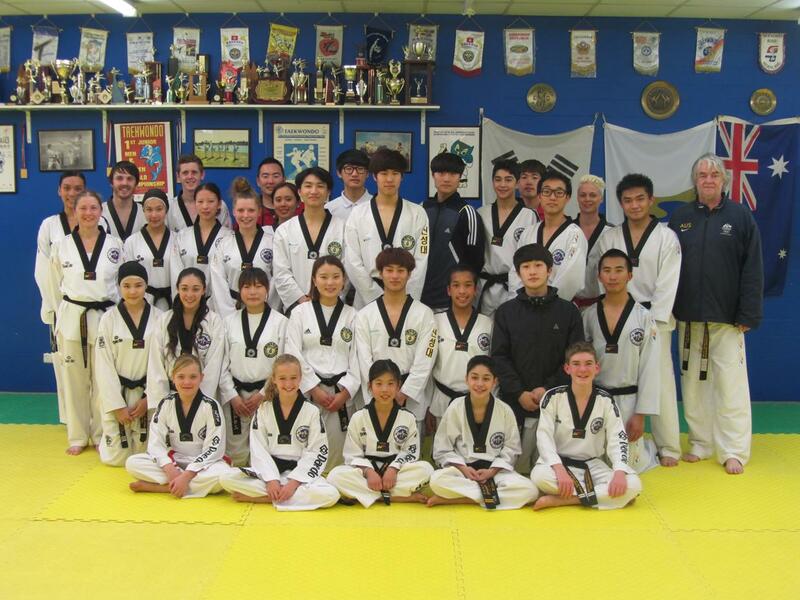 Picture of Shin Sung University students on their last training night at Maddington. Shin Sung University has asked for another round of internships in November, however Grandmaster Ross Hartnett as advised them the next round will be January/February next year. 15 of our members won selection to the national team to participate in the Oceania Championships in Sydney on the 14th & 15th August. We wish them luck. Our competitors from the national selections held in May and some of our female competitors at competition training last week. We wish all our competitors good luck. 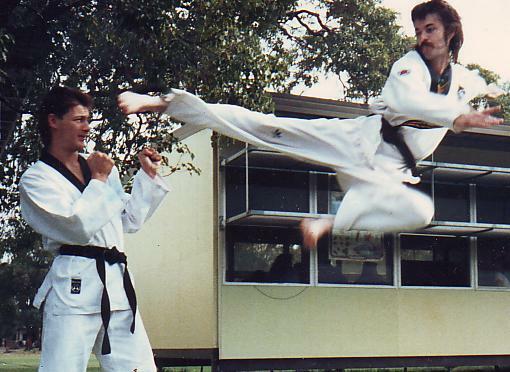 Some 80 Oh Do Kwan Member attempted various Dan upgrades from 1st—3rd Dan. The following persons were successful in their promotion to the following grades. Congratulations on a great effort. 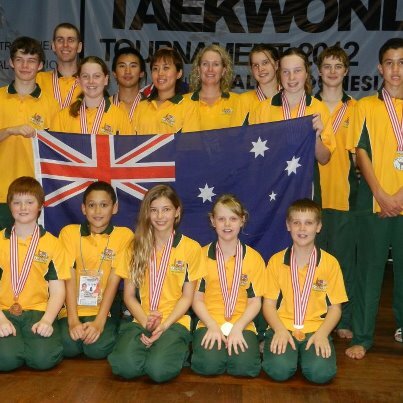 Although no Medals were won at the 2013 WTF World Championships, Taekwondo Oh Do Kwan can be proud of having the biggest contingent of any club in Australia winning selection to represent Australia at the event. Master Carmela Hartnett a 7 time World Championship medal winner had the honour of being flag bearer for Australia at the opening ceremony. Our other competitors Kasia Majewski, Shahida Hill, Shimona Surin and Min Xiong did the club proud and our Grandmaster Mr Ross Hartnett was selected as head Coach for the team. 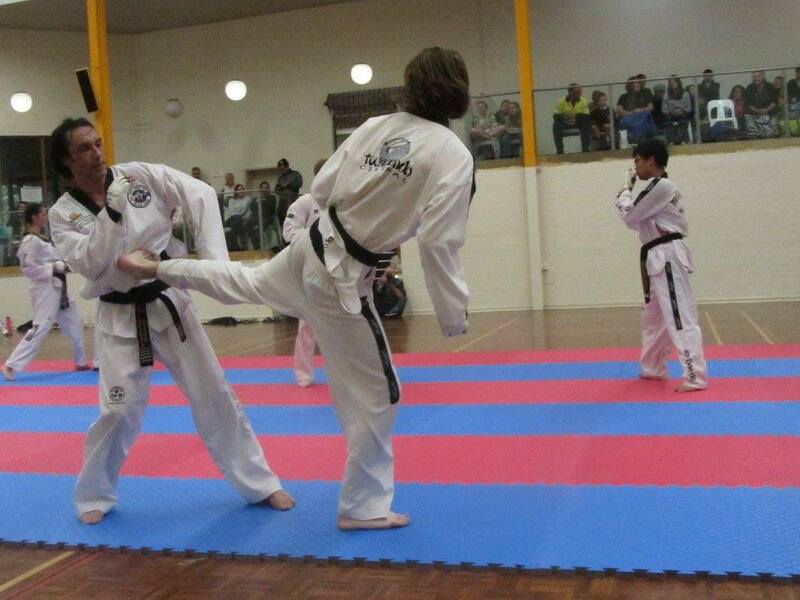 Taekwondo Oh Do Kwan had a hugely successful National Championships culminating in six of our Maddington club members being selected in the National Team to the World Poomsae Championships in Bali, in November. Overall the club won 29 Gold Medals, 25 Silver Medals and 19 Bronze Medals. Six of our Maddington members were selected to the National Team to contest the World Poomsae Championships in Bali from 30 Oct-4th Nov. Grand Master Ross Hartnett has been selected as the National Coach for the team of 20 Australians. Oh Do Kwan members who won selection are Master Carmela Hartnett, Ms Kasia Majewski, Ms Shahida Hill, Ms Shimona Surin and Ms Min Xiong. Oh Do Kwan members make up more than a quarter of the national squad, a great achievement. Silver Medals: Zoe Broomer, Brent Silver, Jessica Dean, Brian Mc Ewan, Peter Podlaha, Jordan Henness, Jesse Tippet, Melissa Evans Bronze Medals: Dominic Podlaha, Blayne Emmett, Stirling Smith, Mia Chandler , Lachlan McGillivray, Taj Bouwhuis. 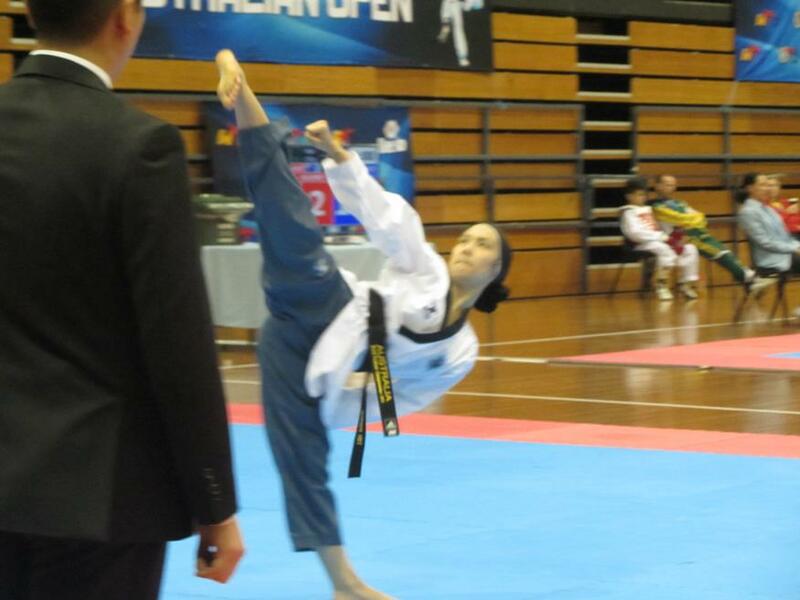 Oh Do Kwan Head Instructor Carmela Hartnett participated in the World Open Championships held in England from 12-14 July The Championships held every three years saw over 3000 competitors competing on 16 competition courts. Carmela won the gold Medal in traditional forms at this years event. This is Carmela’s second World title having previously won a Gold in Creative Forms. Apart from her success at this years championships and her previous World Title, she has also in the past won one Silver and four bronze medals at World Championships. We congratulate Carmela on her second World title. and Coaches that made the day such a success. Congratulations to all competitors wether you won a medal or not, just competing is a success in itself. The following Oh Do Kwan members won medals or trophies, well done. FOR THOSE WHO MAY WANT TO TRY OUT FOR NATIONALS IN MELBOURNE IN SEPTEMBER YOU NEED TO ENTER THE WA OPEN IN JUNE AND THE WA STATES IN JULY. THE NATIONALS HAS DIVISIONS FOR ALL BELTS AND AGES. Thahira Hill, Shimona Surin, Eunice Lau, Jaime Liew, Taiha Knapp, Kang Ming Guo, Nicholas Ierino (2), Subashini Bisht, Morgan Colgate, Alena Ng, Tomasz Malkowski, Fei Chew, Jenny Crutchett, Bailey Moloney, Tristan Bryce, Stirling Smith, Mathew Chown, Chloe Skey, Jorden Henness, Jack Lucev, Charvelle Miller, Jaimee Sheedy, Kolbee Fleay, Jason Yoo, Alastair Kho, Talia Skey, Chloe Wild, Ben Hartmann, Alana Broomer, Anthony Ierino, Matthew Gorman, Malan Laubsher, Warren Young, Jaxom Gardiner, Melissa Evans, Brodie Hall, Ashley Hall. Oh Do Kwan Gold Coast Instructor Master Stephen Brown travelled to WA in March to sit his 6th Dan exam in front of Grand Master Ross Hartnett 8th Dan and Master Carmela Hartnett 7th Dan. Master Brown was put through Poomsae, Basic Kicks, Step Sparring, Self Defence, Knife Defence, Free Sparring, Breaking and had to supply a 12 page thesis on Taekwondo. 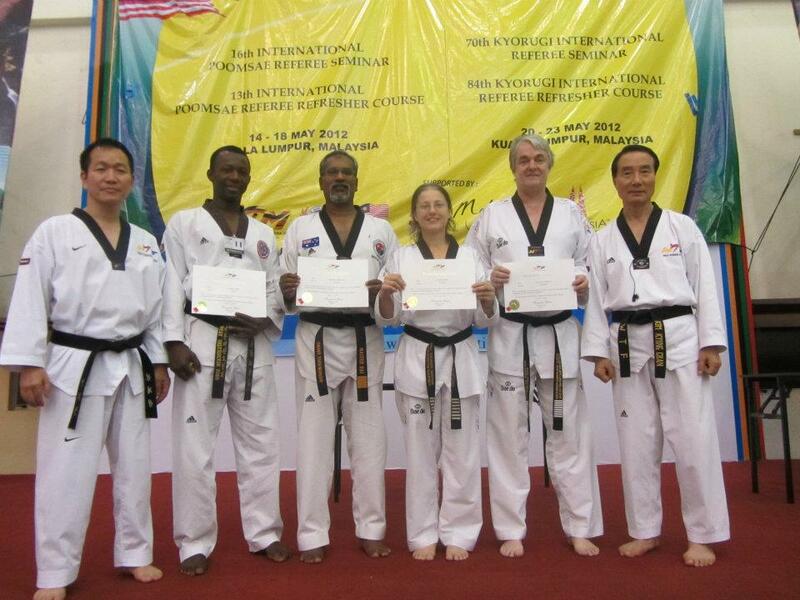 We congratulate Master Brown on successfully passing from 5th to 6th Dan Black Belt. Congratulations to OH DO KWAN students Master Carmela Hartnett 7th Dan, Eunice Lau 4th Dan and Jaime-Lee Smith 2nd Dan on success at Oceania Championships. Carmela won Gold in Individual and Pair Poomsae, while Eunice won Gold in Individual Poomsae, both are students of Grandmaster Ross Hartnett 8th Dan. Jaime Lee won silver in sparring, narrowly loosing her 3rd fight. This was a great result given she rolled her ankle several weeks ago and not being able to train till just before the comp. Jaime Lee is a student of Master Justin Warren 5th Dan. 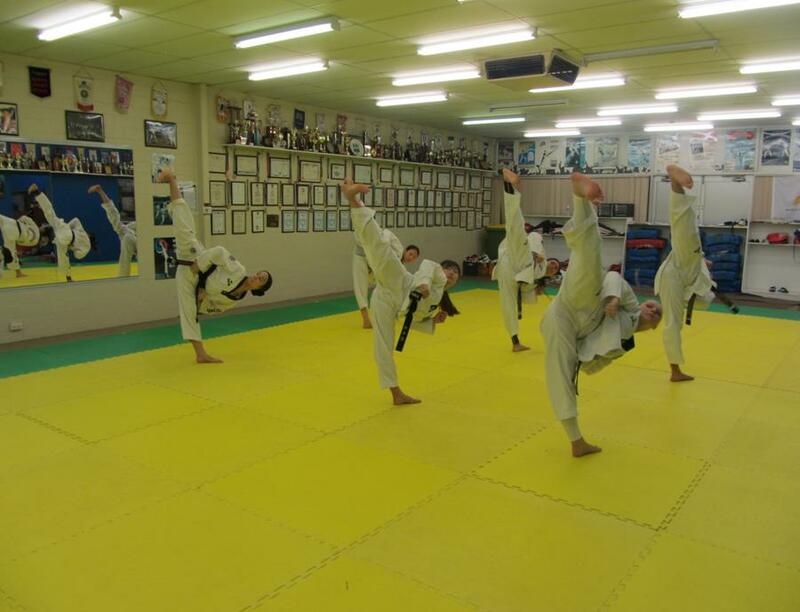 Some 60 Oh Do Kwan Member attempted various Dan upgrades from 1st—5th Dan. The following persons were successful in their promotion to the following grades. Congratulations on a great effort. 2nd Dans: Austin Durnin, Nicholas Jeewa, Wayne Heng, Lochlan McGillivray, Jordan Tuffin, Wil Watson, Peter Podlaha, Alfred Mariassouce, Tomas Xu, Brent Silver, Shakira Surin, Alana Broomer, Wayne Heng, Dominic Podlaha, Katrina Rainone, Kelsey Berkelaar. 1st Dan: Min Xiong, Beatie Lau, Jaenisha Sidhu, Corey Tuffin, Maeve McNulty, Taila Skey, Ella Li, Sebastian Drysdale, Joel Noble, Marcus Gill, Steven Benny, Ross Carlson, Issac Whatt, Benjamin Hartmann, Katy Zhang, Melinda Boctor, Jaimee-Lee Stevenson, Kisane Allen, Stephanie Smith, Melissa Allen, Max Noble, Brian McEwan, Sven Roemer, Ned Hughes, Luke Smith, Kane Ohashi, Shiavux Mistry, Shewan D’Souza, Joshua Noble, Ethan Chidlow, Shaun Johnstone, Jesse Buchanan, Danielle Berkelaar. 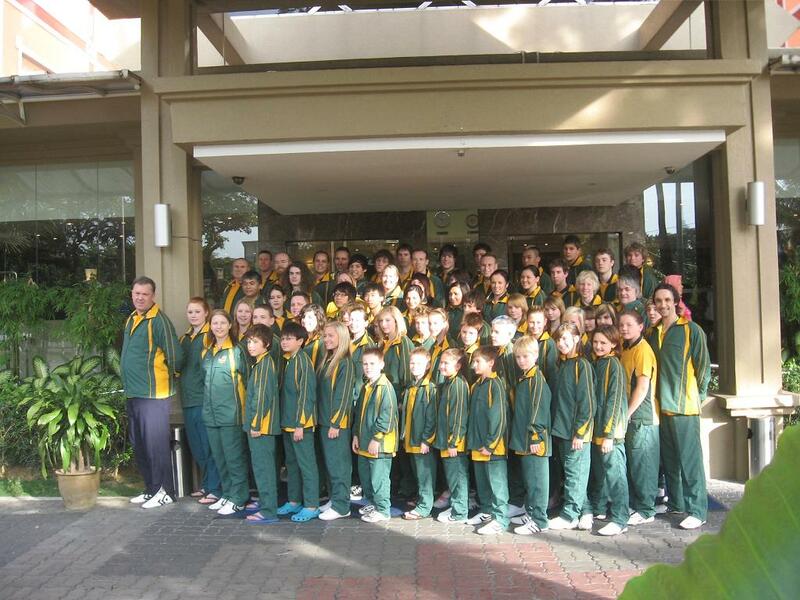 350 Athletes from 5 countries participated in the 2012 Bali Open Championships in Indonesia from the 11th - 13th July.The Oh Do Kwan team that participated the weekend prior in Thailand travelled onto Bali, minus Grand Master Ross Hartnett and Master Carmela Hartnett. 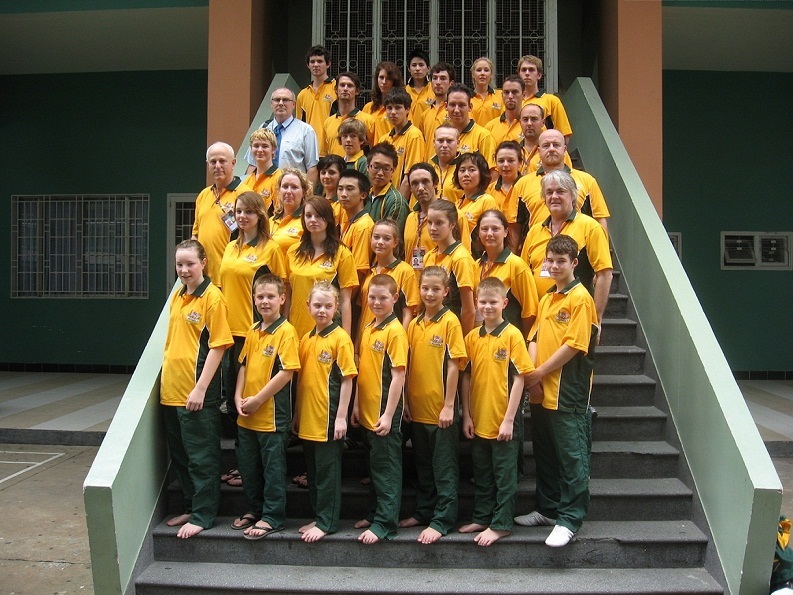 The team consisting of Master Anita Tippet and Master Brad Emmett, Jason Yoo, Sherman Kwan, Eunice Lau, Bailey Moloney, Dominic podlaha, Jacob Larkin, Alana Broomer, Peter Podlaha, Larnie Henness, Zoe Broomer, Caleb Henness, Jessica dean, KeeÁrnah Thompson, Brodie Hall and Brent Silver all won medals including three Gold and Larnie Henness winning Best Junior Female competitor. Congratulations to all. 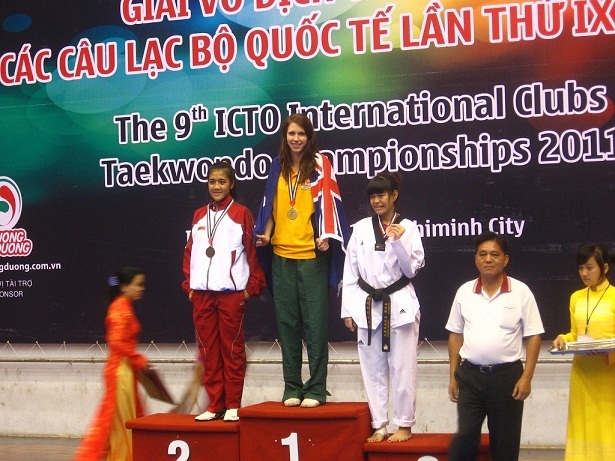 Over 400 competitors from 14 Countries participated in the 2012 ICTO Championships in Bangkok, Thailand from the 6-8th July. 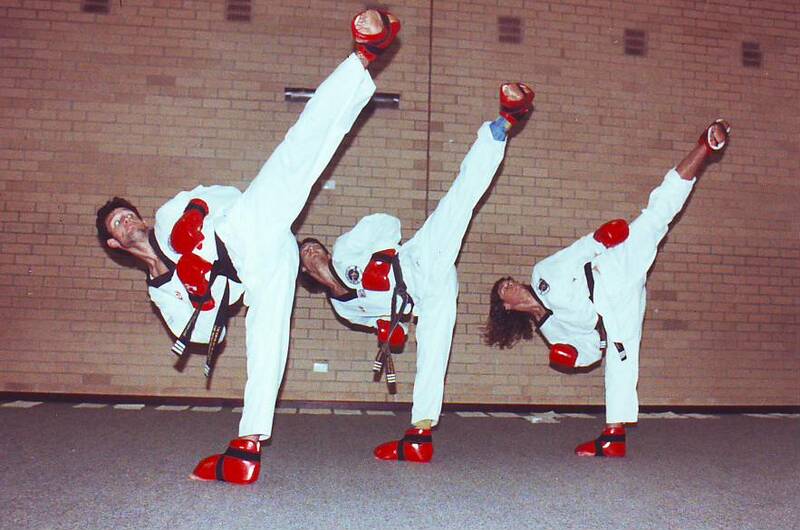 The Oh Do Kwan team was made up of Coaches Grand Master Ross Hartnett, Master Anita Tippet and Master Brad Emmett. Competitiors were Carmela Hartnett, Jason Yoo, Sherman Kwan, Eunice Lau, Bailey Moloney, Dominic podlaha, Jacob Larkin, Alana Broomer, Peter Podlaha, Larnie Henness, Zoe Broomer, Caleb Henness, Jessica dean, KeeÁrnah Thompson, Brodie Hall, Brent Silver. 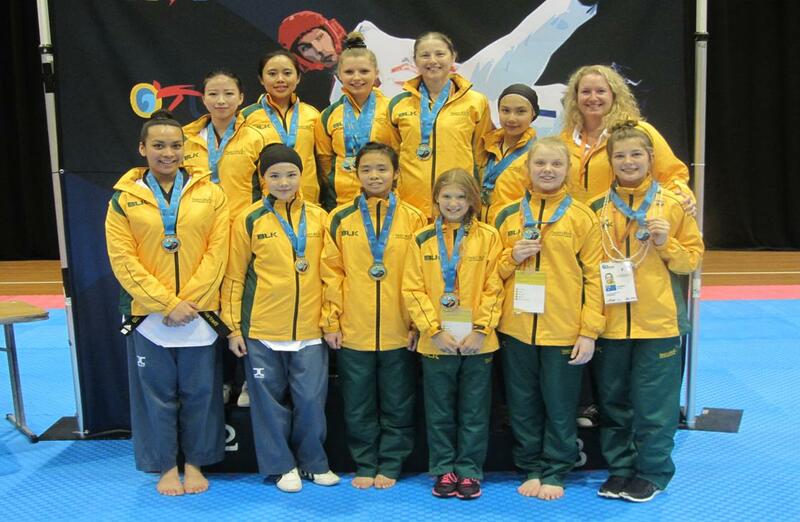 All but two members won medals and the female contingent, placed Australia 3rd overall at the championships. Gold Medal winner Master Carmela Hartnett accepted the 3rd Place team trophy on behalf of Australia. Some 400 Athletes participated in the 2012 WA Invitational Championships on the 2nd June at the Belmont Oasis Leisure Centre. 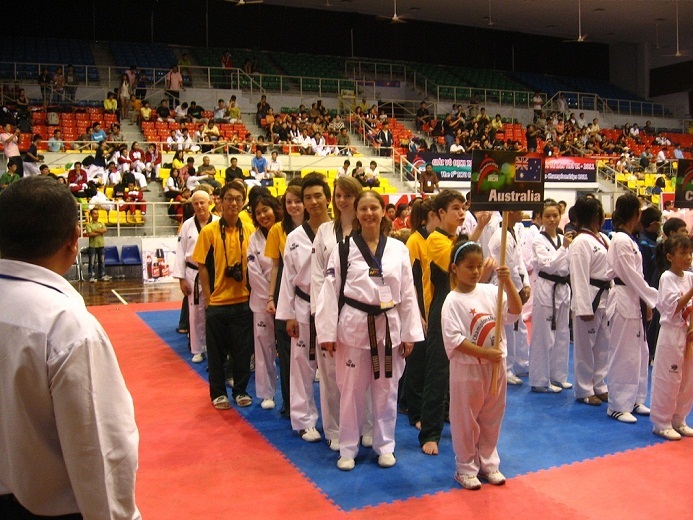 Teams came from throughout Western Australia and Singapore. 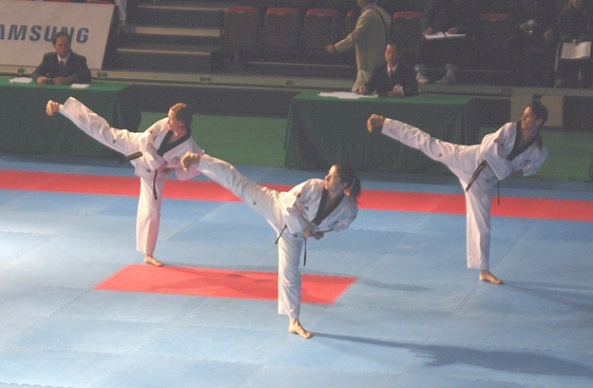 The event had both Technical and Sparring divisions with Taekwondo Oh Do Kwan again winning the Poomsae and Sparring segments with the most Gold Medals. 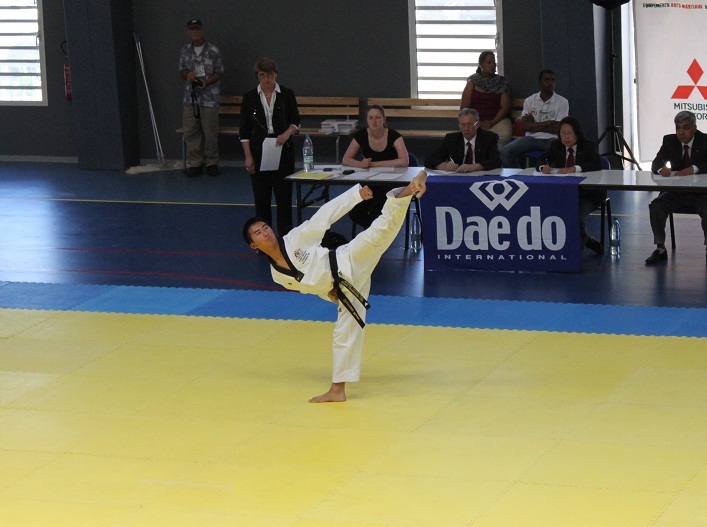 Daedo T-strike was used for all black belt bouts including juniors with great success. Congratulations to all students whom competed and Taekwondo Oh Do Kwan thanks all the referees, judges and volunteers who made it such a successful event. 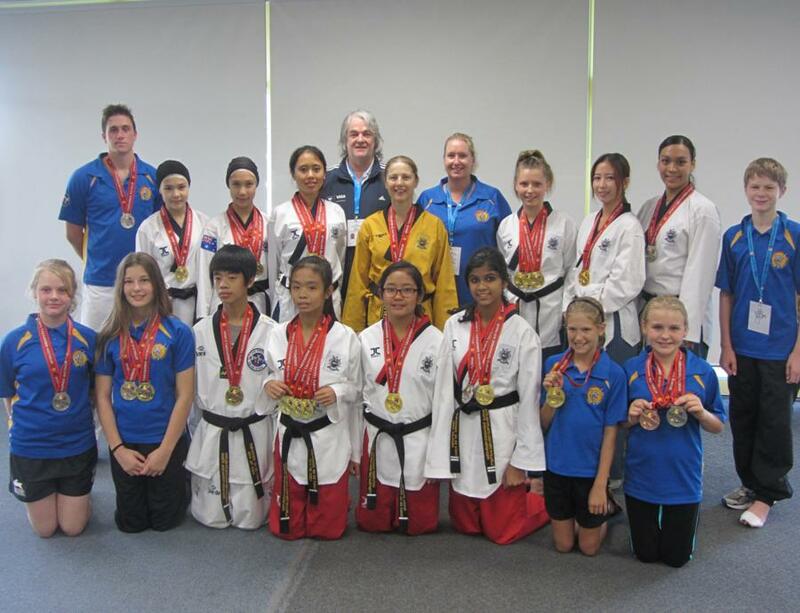 Oh Do Kwan Medal winners were: POOMSAE(GOLD MEDALS)Linda Solomon, Sherman Kwan, Eunice Lau, Shimona Surin, Layla Smith, Tomaz Malkowski, Zachary Nuich, Skye Dean, Bailey Moloney, Shahida Hill, Caleb Henness, Taimar. Grand Master Ross Hartnett and Master Carmela Hartnett were notified on the 18th July by the World Taekwondo Federation that they had successfully passed the International Poomsae Judge course held in Malaysia from the 14th 18th May which saw some 400 participants from the around the World put through their paces with training 7-8 hours a day. Congratulations to Both on becoming Qualified International Poomsae Judges. 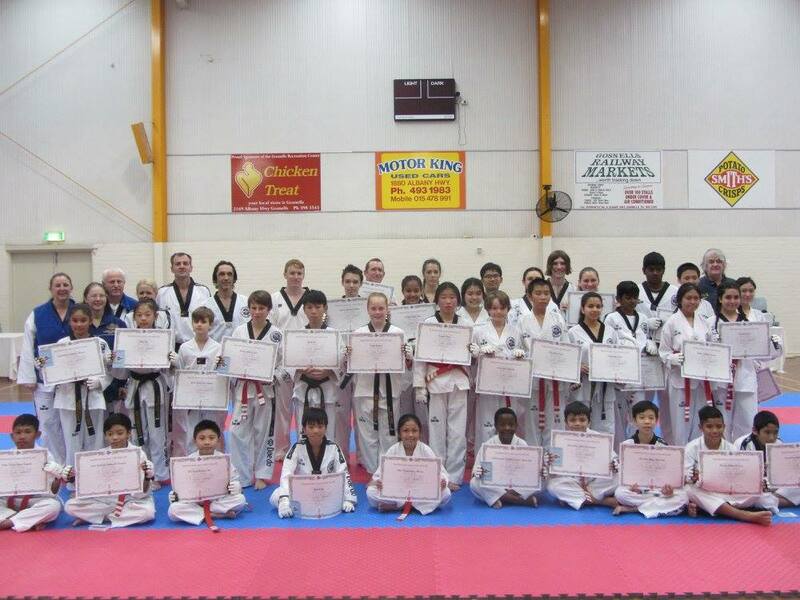 65 Oh Do Kwan students attempted Dan gradings on Sunday the 27th November. Candidates ranged from 1st Dan through to 6th Dan. The examination panel for the grading consisted of Grand Master Ross Hartnett 8th Dan, Master Carmela Hartnett 7th Dan, Master Anita Tippet 6th Dan, Master Jenny Crutchett 6th Dan, Master Cristian Hernandez 5th Dan, Master Graeme Hartnett 5th Dan, Master Justin Warren 5th Dan, Mr Paul Baldwin 4th Dan, Mr Jae Sueng Yoo 4th Dan, Mr Rob Collings 4th Dan and Mr David Elphick 4th Dan. 3rd Dan: Catherine Murphy, Kristopher Hartmann, Chantal Kong, Wing Yi Chan, Edward Soemali, Juan D'Cruz, Rodney Hartmann,Nayad Wadia, Ajana Plunkett, Kee'Arnah Thompson. 2nd Dan: Zi Qing Ng,Jayden Lim, Luke Monforti, Ethan Li Woon Chung, Jacob Larkin, Daniel Juhasz, claudia Goh, Laetitia Li Woon Chung, Jordan Janovic, Izzati Hashim, zainora Samad,Shimona Surin, Shahida Hill, Thahira Hill, Zoe Broomer,Keila Wright, Russhaidi Hashim, Ryan Almen, Yu Jin Ham, Jaesunil Sidhu, David Do Rozario, Jeremy Dunnet, Mathew Cutfield, Boon Kiat Liew, Jasmine Goh. 1st Dan: Austin Durnin, Nicholas Jeewa, Ben Cole, Zheng Heng, Maya Smith, Ebony Bilcich, Maryam El-Gamil, Brent Silver, Sam Nag chea, Meng Hou Chua, Brandon Tranter, Lochlan McGillivray, Brandon Miciewicz, Jordan Tuffin, Blake Shanahan,Tassneem Shahin, Louise Harun, Aquila Bashir,Kelvin Tranter, Mark Ham, Meng Kuan Chua, Jacob Gibbs. 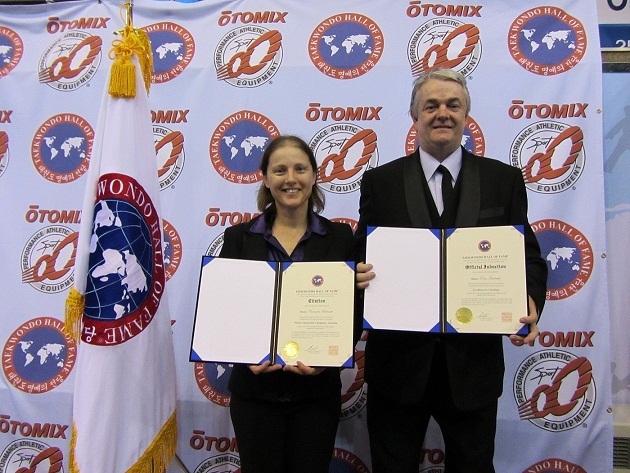 Grand Master Ross Hartnett 8th Dan and Master Carmela Hartnett 7th Dan travelled to Korea at the invitation of the World Taekwondo Hall of Fame to receive nominated awards for their achievements in Taekwondo. While they were in Korea Grand Master Ross and Master Carmela took the opportunity to undertake advanced training with World Taekwondo academy instructors at the Kukkiwon. 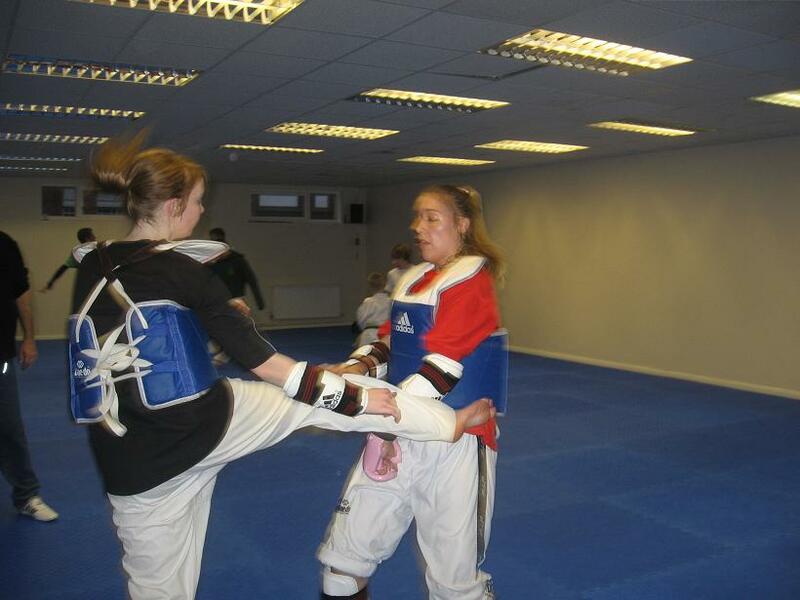 The sessions were 3 hours long, split evenly between poomsae and sparring. One of the Instructors was Mr Chung Myung Sam three time World Champion, whom Grand Master Hartnett fought to a points draw at the 1988 Asian Championships. They took the opportunity to have a friendly spa again during the sessions. The actual awards were held on the 25th August at the Kukkiwon the World Headquarters for Taekwondo, with Taekwondo dignitaries and former champions from around the World in attendance. 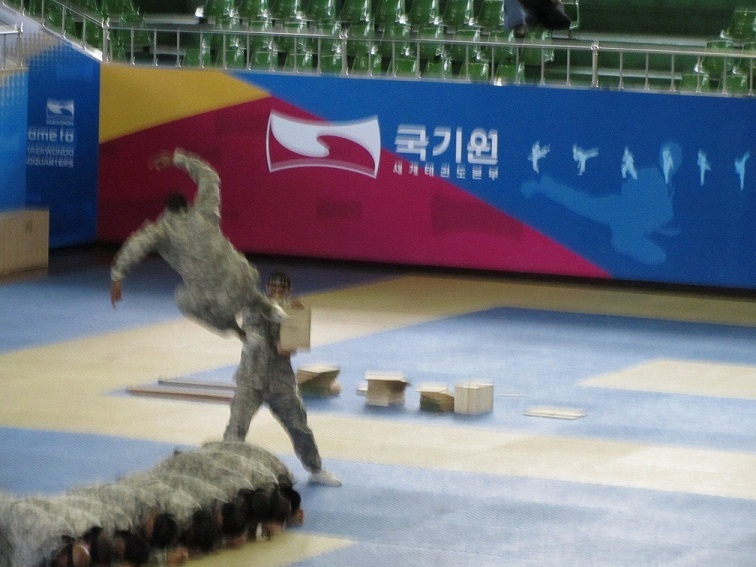 The 2nd division U.S. Army Taekwondo Demonstration team entertained the crowd prior to the presentation ceremony. After the Demonstration Grand Master Ross Hartnett and Master Carmela Hartnett received their certificates of recognition from Grand Master Gerard Robins. After the awards ceremony a banquet was held for all award winners, were world renowned Grand Master Kang the former National Coach of Iran put on a spectacular demonstration for those in attendance. 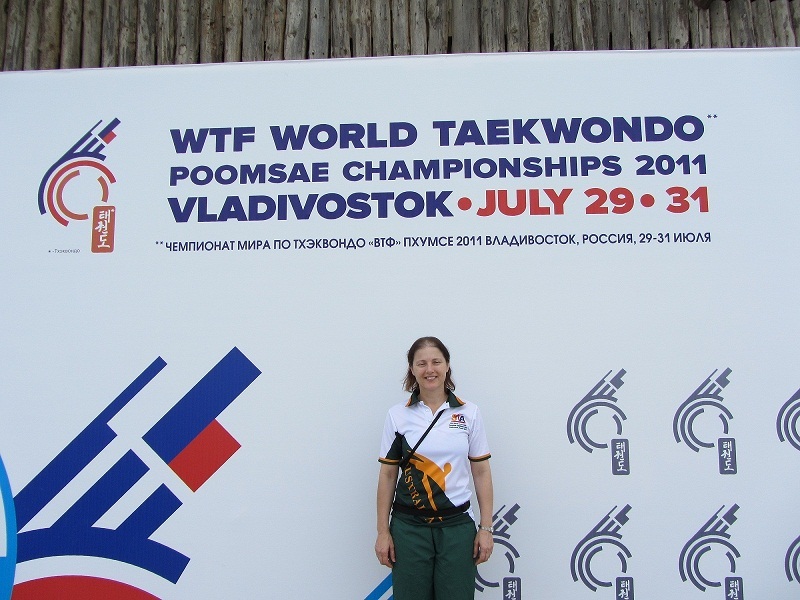 Master Carmela Hartnett 7th Dan was a member of the National team to contest the World Championships in Vladivostok, Russia from the 29th –31st July. 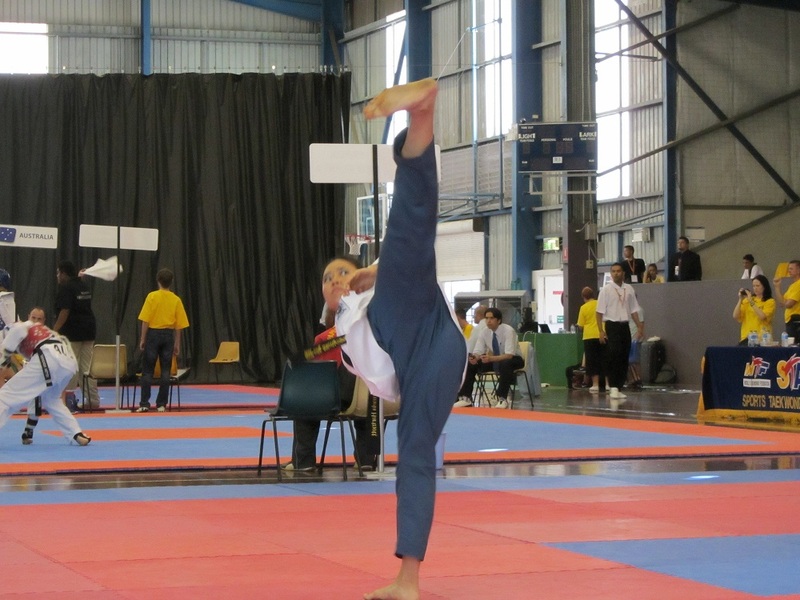 Carmela who is a World Champion in Poomsae and Silver and Bronze medal winner was unable to repeat her past medal winning feats and this year did not walk away with a medal. We still congratulate her on representing Australia. Some 40 Oh Do Kwan students competed in the 9th International Clubs Taekwondo Championships held from the 22nd - 25th July in Ho Chi Mihn City Vietnam. The Championships saw some 500 athletes from 12 countries battling for honours. The team had considerable success winning some 20 medals including Gold for Master Carmela Hartnett in Masters Poomsae and Gold for Ms Jasmine Klumpp in the premier female sparring Division. Our thanks go to team coaches Master Ross Hartnett, Master Anita Tippet, Master Brad Emmett, Master Justin Warren and Mr Ken Beebe for their time and effort in making the competition another successful outing for Taekwondo Oh Do Kwan. 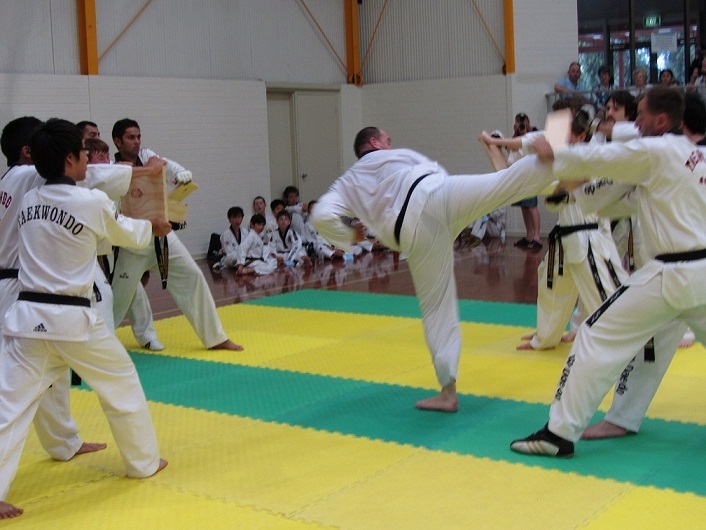 Four Oh Do Kwan students won selection to the National Team to contest the 2010 Oceania championships. 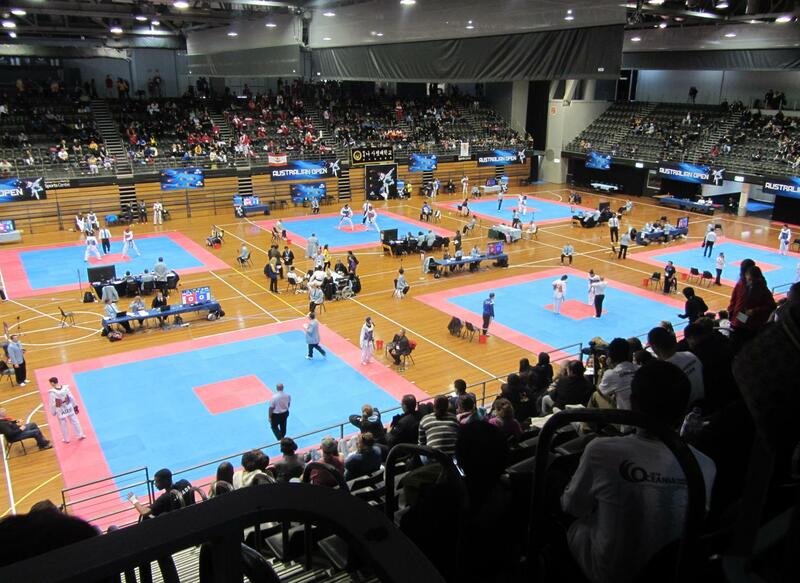 The Championships were held on the 4th and 5th of December in New Caledonia and is the World taekwondo Federation benchmark event for the Oceania region. 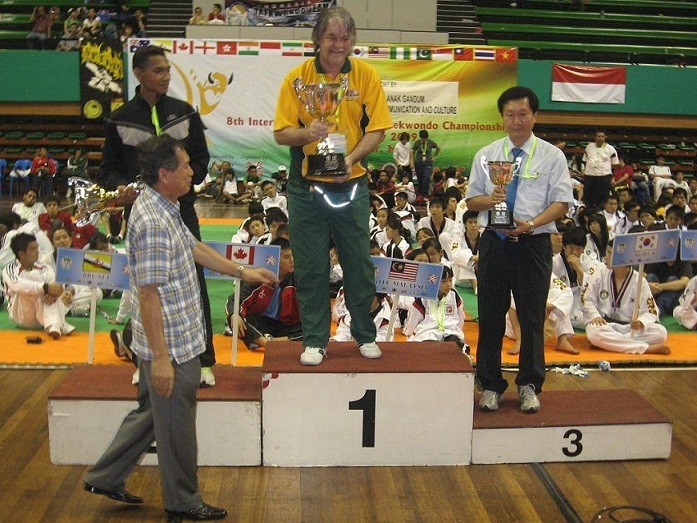 Master Carmela Hartnett 7th Dan, Mr Neil Brickwood 4th Dan and Mr Sherman Kwan 3rd Dan were all successful in their respective divisions, each winning the Gold medal for their second Oceania title each, having won previously in the 2008 Championship. 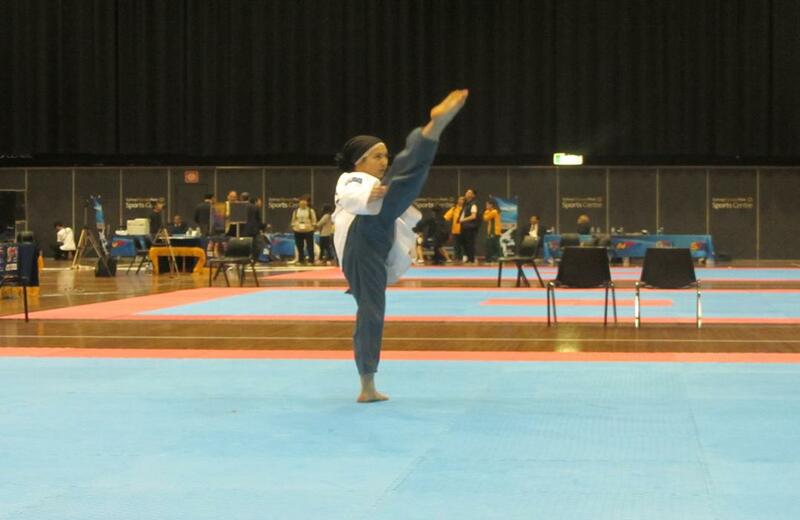 Ketisha Gill won a bronze medal in sparring, with the sparring divisions utilising the Dae do electronic scoring system. 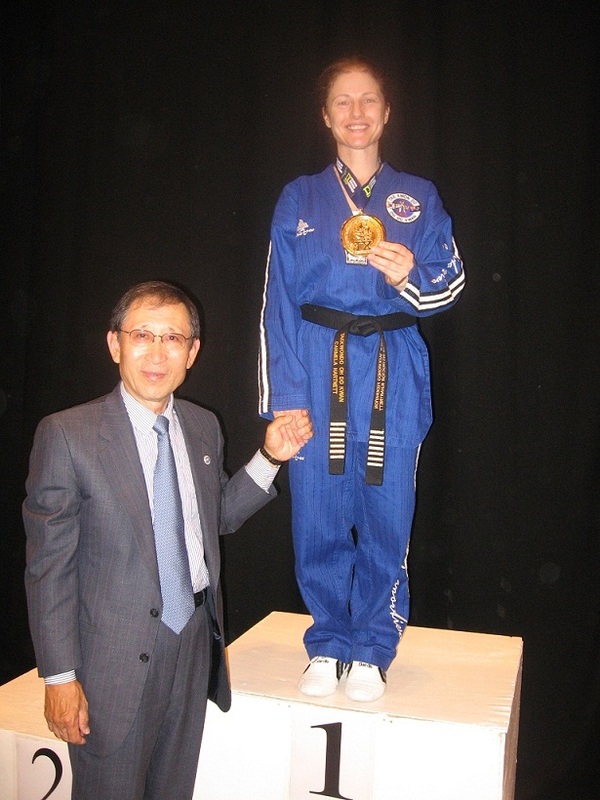 Master Carmela Hartnett 7th Dan has continued her winning ways, with a double medal haul from the World Open Taekwondo Championships held in the United Kingdom. Carmela was among a team of 20 Australians who contested the event. The Championships saw some 2000 competitors competing over 32 courts to determine the 2010 World Champion in a number of categories. Carmela became World Champion with victory in the Creative forms division, defeating opponents from around the World to take out the Gold Medal. To top it of Carmela took the silver medal in traditional forms. Carmela has previously won four bronze medals at various World Championships. On the 28th / 29th / 30th of August Taekwondo Oh Do Kwan participated in the WTF A Class British International Open and associated events held in Manchester, England. 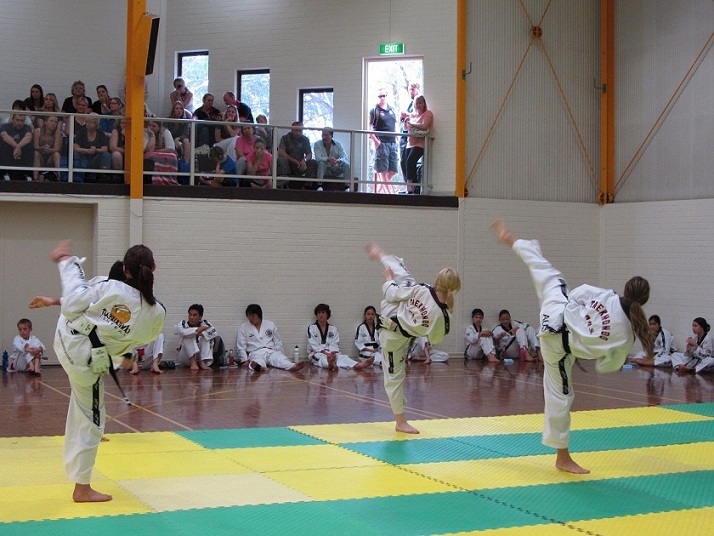 The participants from Oh Do kwan were Mr Ross Hartnett Coach, Taiha Gorton, Catherine and Julie Dawson competitors. The team arrived in England four days prior to the competition and were taken to Doncaster to be looked after by Mr Peter Adamson former National Coach of Great Britain and Adele Deakes. Peter is head instructor for Scorpion Taekwondo who have been British Champion club for the last three years. The competitors had the opportunity to train at Scorpions full time HQ club in the centre of Doncaster, were they sparred with British National team members, which was invaluable preparation. On Friday the 29th the team travelled to Doncaster with the Scorpion Taekwondo team for weigh in, while Coach’s Ross Hartnett and Peter Adamson participated in the Wcoaching program seminar held in conjunction with the competition. 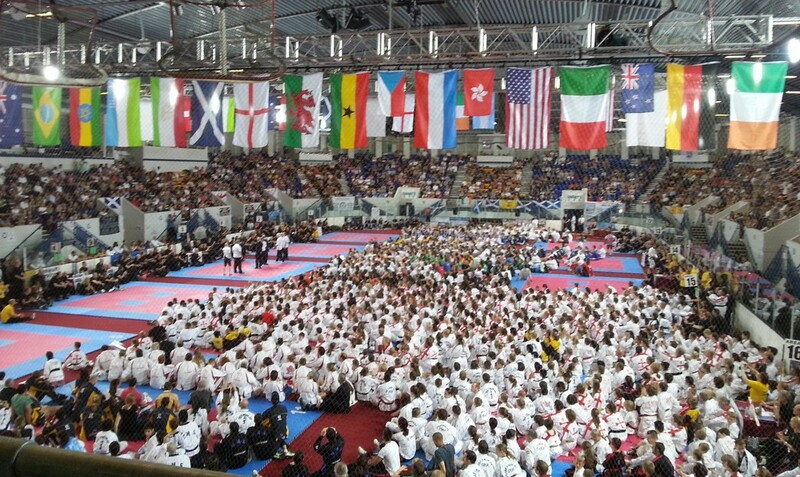 The 30th saw the first day of competition with over 500 black belts from 33 countries competing. Catherine and Julie had three bouts each, while Taiha had four bouts. 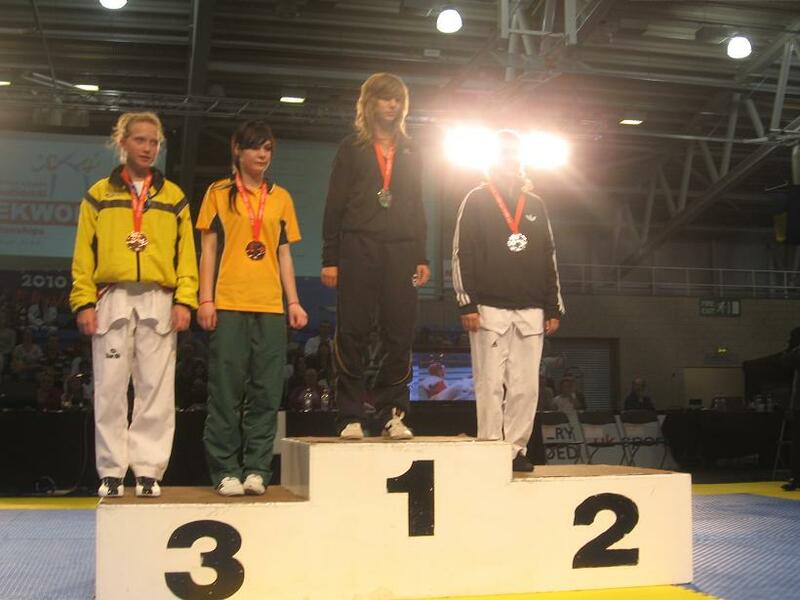 The first day saw Julie make the semi finals in the under 40kg division were she lost narrowly to take out the bronze Medal. Catherine went a step further in the under 55kg division making the finals, but having to settle for the silver medal in a close fought match. The 31st saw Taiha taking out the Bronze medal in the under 52kg division again narrowly loosing to the eventual winner of the competition. Coach Ross Hartnett was pleased with the performance with Catherine and Taiha doing very well with using the new Electronic Hogu’s for the first time. 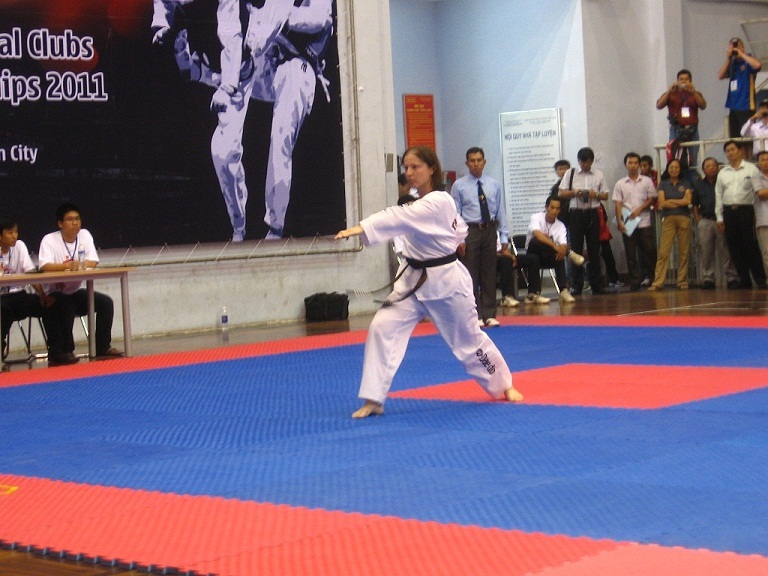 Taekwondo Oh Do Kwan led a team of 70+ competitors, and Officials to the 2009 ICTO championships in Malaysia with 1300 competitors from 18 countries competing. Team Australia won 1st Place team trophy in Open Age Category, 2nd place in 14-17 age category. In minor 1 age category placed 6th and in Minor 11 age category placed 5th. 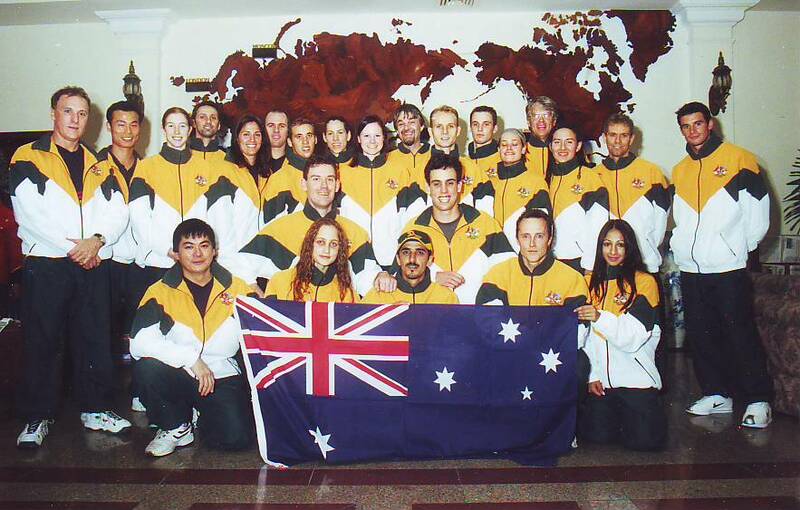 Countries participating in the Championships were Australia, Brunei, Canada, England, Hong Kong, India, Iraq, Indonesia, Iran, Jordan, Korea, Malaysia, Pakistan, Singapore, Taiwan, Thailand and Vietnam. A total of 61 Technical Officials from 11 countries officiated in this event, they include; 3 Competition Supervisory Board Members, 20 International Referees, 21 National Referees, 14 State Referees and 3 scoreboard Technicians from Vietnam. The Opening Ceremony was Officiated by YB Senator Tan Sri Dr. Koh Tsu Koon, Minister in the Prime Minister’s Department on 25th July at 3:30pm. All participants and members of the public were treated to a Spectacular Demonstration Performance by the ShinShung University Demonstration Team from Korea and the Self-defence demonstration by our Armed Forces of Malaysia. The Closing Ceremony was declared by YB Dato’ Joseph Salang, Deputy Minister of Information, Communication and Culture on 26th July at 6:30pm. Once again the ShinShung University Demonstartion Team put on another impressive performance to the delight of the crowd. 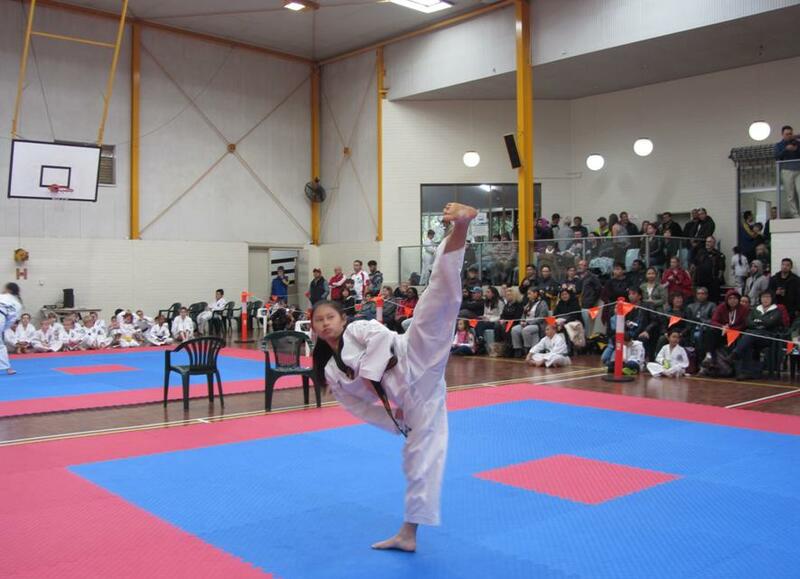 Julie Dawson form Oh Do Kwan Maddington/Vic Park won best female competitor of the competition after winning Gold in her 14-17 age category on Saturday winning 5 fights and then backing it up with 5 victories in the senior division on Sunday to take out the double Gold. Carmela Hartnett and Sherman Kwan had a commendable result in the pairs poomsae gaining the Bronze whilst up against the current WTF World Champions from Vietnam. The team was coached by Ross Hartnett, Anita Tippet, Stephen Brown, Cynthia Cameron, Brad Emmett, Justin Warren, Daniel Hartmann and Darren Rix. A number of International referees from Australia accompanied the team, Carmela Hartnett, Jennifer Crutchett, Michael Tan and Shane Hartmann did a great job representing Australia in an officiating role. Team Australia Coach's Ross Hartnett, Anita Tippet, Cynthia Moir, Daniel Hartmann, Darren Rix, Stephen Brown, Brad Emmett Manager Mark Tovey International Referees Michael Tan, Shane Hartmann, Jennifer Crutchett Players Carmela Hartnett, Julie Dawson,Catherine Dawson, Michael Baldwin, Sherman Kwan, Ben Henry, Chloe Deleport, Ashley Howlett, Ross Deleport, Ajana Plunkett, Bailey Maloney, Sarah Turner, Rodney Hartmann, Jake Read, Adam Henry, Kee'arnah Thompson, Jason Yoo, Leon Shaw, Ulrich Engels, James Carter, Ricky Phongthai, Taiha Gorton, Ketisha Gill, Shuanie Moreton, Kasia Majewski, Darrien Low, Cody Emery, Amelia Griffin, Jamie Gaymer, Steven McDiarmid, Joshua Milne, Jake Read, Katy Jones, Jesse Campbell, Ben Jerez, Brandon Madaffari, Jonathan Caripidis, Dylan Gaymer, Rebecca Caripidis, Brad Tovey, Jake East, Amber Carter, Chelsea Corbett, Heather Gradidge, Elouise Dempsey, Tamara Bingham, Ashleigh Brown, Amanda McDiarmid, Susan Mountstephen, Ruth Rowe, Nicole Mitsigeorgis, Patrick Dawson, Brogan Ng-Stewart, Thomas Power, Ben Hartmann, Alex Sejournee, Kristopher Hartmann, Tyson Phillips (Team Australia) Team Australia Medal winners. Gold: Thomas Power QLD, Julie Dawson WA, Ruth Rowe SA, Nicole Mitsgeorgis SA, Julie Dawson WA, Taiha Gorton WA, Dylan Gaymer WA, Ajana Plunkett WA Silver: Susan Mountstephen SA, James Carter SA, Sarah Turner WA, Ross Deleport WA, Bailey Maloney WA, Katy Jones WA Bronze: Amanda McDiarmid WA, Ashliegh Brown Vic, Jason Yoo WA, Alex Sejournee WA, Ricky Phongthai Vic, Amber Carter WA, Tamara Bingham Qld, Heather Gradidge Qld, Leon Shaw SA, Amelia Griffin SA, Jake East WA, Adam Henry WA, Rebecca Carapidis. Carmela Hartnett became the first Australian ever to win two medals at the same World Championship when she followed up her Bronze Medal won in teams event on Sunday the 4th Nov, with another Bronze Medal in the individual event on Tuesday the 6th Nov, the final day of the competition. Australia overall managed a ranking of 9th in the World at the championship, maintaining its top ten world ranking achieved at last years World Championship. Everyone at Taekwondo Oh Do Kwan congratulates Carmela on maintaining her number 3 ranking in the World and her achievement in winning two medals and bringing her overall haul of World Championship medals to four. Our congratulations go to the rest of the Australian team on a great effort. 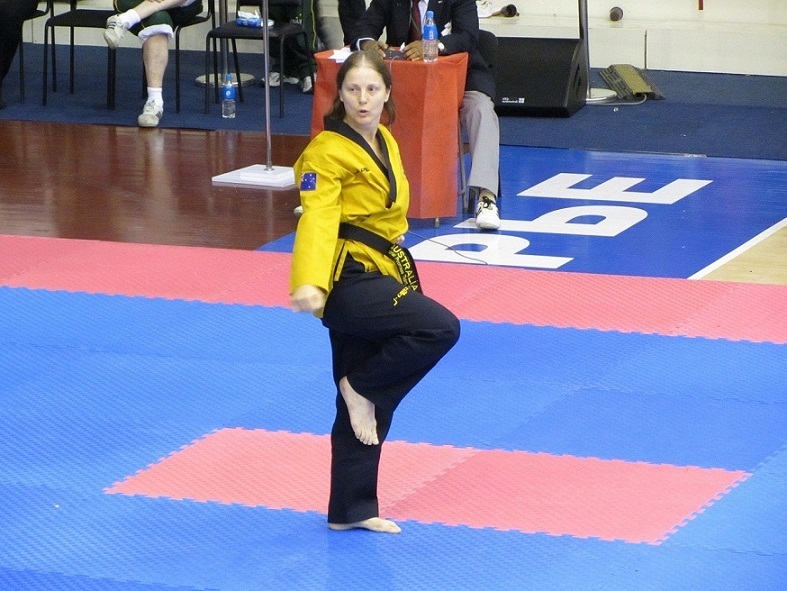 The Australian Female Masters Team at the World Poomsae Championships in Korea have won Australia's first medal halfway through the first day of the three day competition. The team consisting Oh Do Kwans own Carmela Hartnett, Rebecca Green Brisbane Taekwondo Academy(Queensland) and Melissa Kenihan Melbourne Taekwondo Centre (Victoria) were edged out of the Silver Medal by 0.009 with the Silver Medal going to Spain and Gold to Germany who scored 0.2 higher than the Australians. The Girls were happy with their performance given that both the German and Spanish teams have been competing together at tournaments throughout Europe this year, compared with the Aussie team only being able to train and compete together on two occasions, being the National Championships where they won and the Western Australian Open where they also won. The 0.009 gap between Australia and 2nd placed European Powerhouse Spain is a remarkable result and highlights the high standard technical skills being taught by Clubs like Oh Do Kwan. Carmela will now go on to compete in the individual category On Tuesday, were we hope She can duplicate or go better than her 2006 World Championship result were she won a Bronze Medal in Individual. 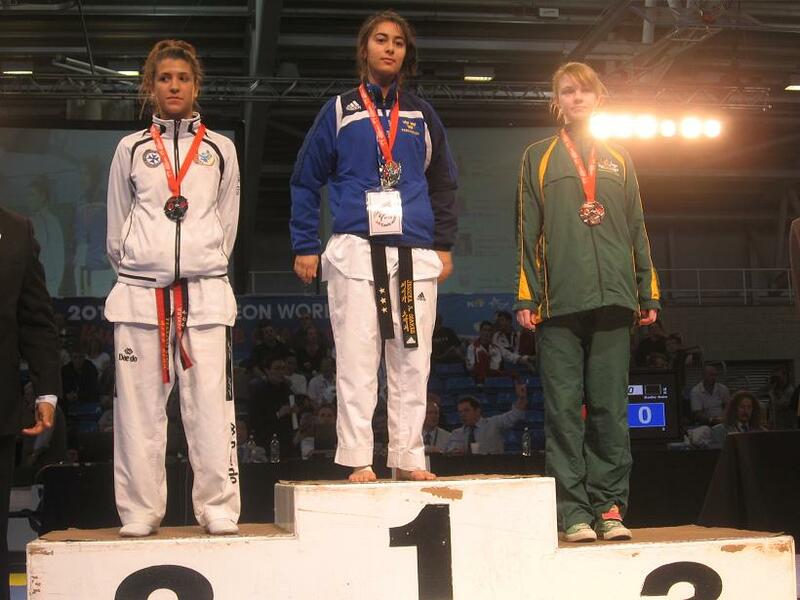 Carmela has now won three Bronze Medals at three seperate World Championships. Congratulations to Carmela Hartnett on winning a Bronze Medal at the World Championships. 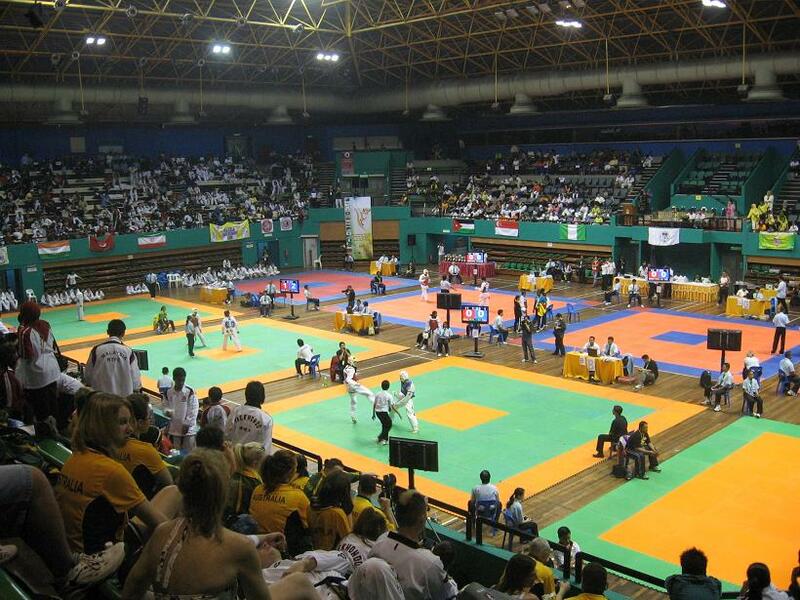 The World Poomsae Championships were held in Seoul Korea during September with some 650 participants from 60 countries. The competition was very hard with only 11 countries sharing medals in the 15 divisions up for grabs. 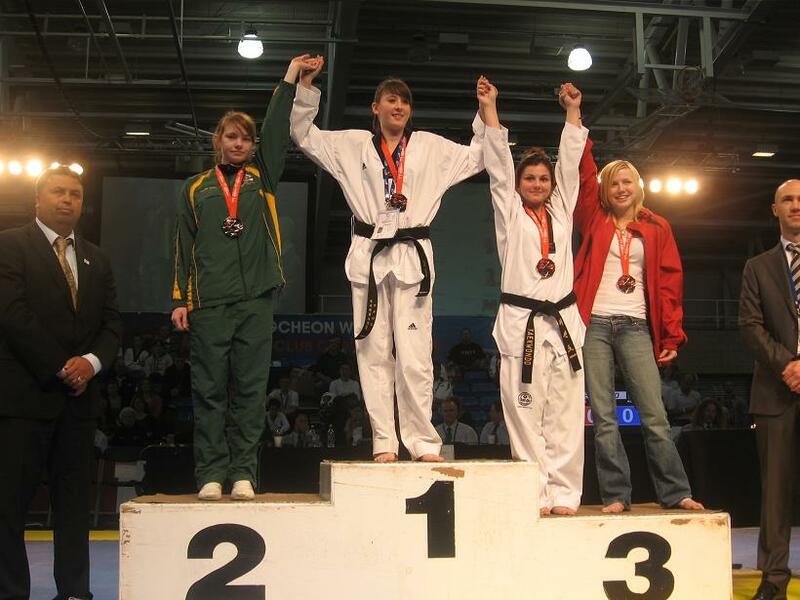 Oh Do Kwan Instructor Carmela Hartnett, was one of the few participants good enough to garner a medal. 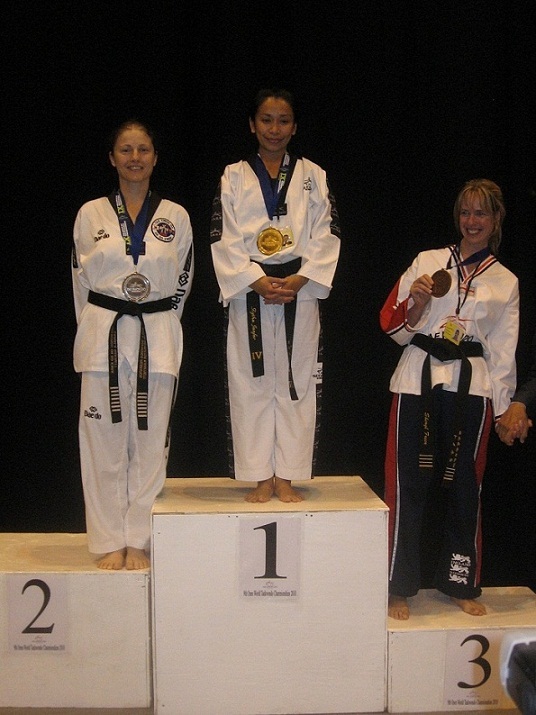 Carmela won a Bronze Medal in the Masters Division of the Championship. Her success at the World Championships adds to her Bronze Medal at the World Open Championships in 1991 and Silver medal at the World Taekwondo Festival in 2002. Her latest win takes her career tally in international poomsae and sparring to 55 medals of which 28 are for poomsae competition.